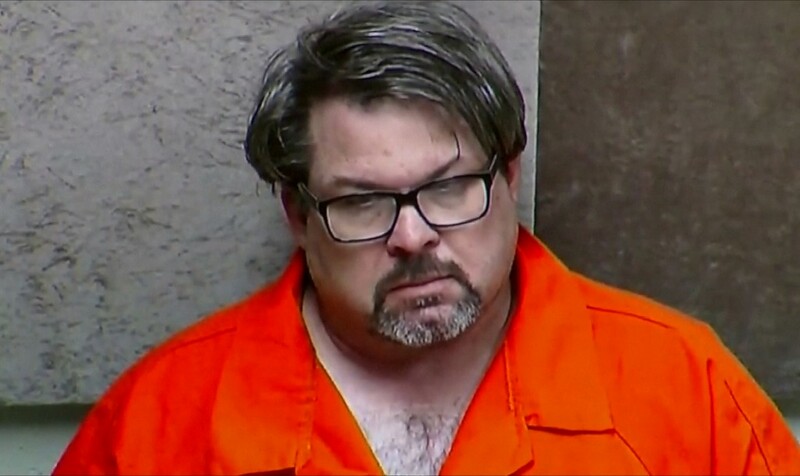 In our news wrap Monday, the alleged gunman responsible for a shooting spree that left six dead and two injured in Kalamazoo, Michigan, admitted guilt in his first court appearance and was denied bail. Also, the White House defended its refusal to engage in peace talks with North Korea, citing the Communist state’s unwillingness to halt its nuclear program. Good evening. I'm Gwen Ifill. On the "NewsHour" tonight: Republicans rally in Nevada for tomorrow's caucus after Donald Trump's big South Carolina win this weekend, while Democrats take on the Palmetto State. Also ahead: A temporary cease-fire is reached for war-torn Syria one day after the deadliest attack yet by ISIS kills at least 130 people. Then: An empty chair sits among the Supreme Court justices, as they hear cases for the first time without the late Justice Antonin Scalia. And why scientists are turning to elephants for hope in cancer research. It's as if these elephant cells have said, well, it's much safer, much better strategy to just kill the cell and start over. If we do that, there's no way that that cell can go on to become cancer, and that was an aha moment for us in the lab. All that and more on tonight's "PBS NewsHour." Confirmation today that the U.S. and Russia have agreed on at least a pause in the Syrian civil war. The formal announcement came from Washington and Moscow, but it left unclear just how extensive the cease-fire might be. Meanwhile, Syria's President Bashar al-Assad called a parliamentary election for April 13. We will have a full report later in the program. In the day's other news: Authorities in Michigan say the man accused in Kalamazoo, in the killings, has admitted he did it. Jason Dalton faced a judge via video link from jail today. He was denied bail, and didn't enter a plea. Police say Dalton killed six people at random in three separate locations Saturday night around Kalamazoo. The local prosecutor said today he's acknowledged his role, but given no reason. I have described this previously as intentional, as deliberate, as cold. This wasn't a — just a momentary lapse. This wasn't just a crime. There was nothing that provoked this. There is videotapes of these incidences. He walked up on these people and he shot them. Dalton is a driver for the ride-sharing service Uber. Investigators are checking reports that he picked up passengers between the attacks. The Obama administration today defended its handling of a North Korean call for direct talks between the two countries. The Wall Street Journal had reported that U.S. officials agreed to talks, without first demanding the North give up its nuclear program. The White House says it insisted the nuclear issue be part of any talks, and says that's consistent with longstanding U.S. policy. The North refused, and, days later, carried out a nuclear test. Days of violent protests in Northern India may finally be coming to an end. The government agreed on concessions late today. The unrest in Haryana state has killed at least 19 people and cut off water to New Delhi, as Jonathan Miller of Independent Television News reports. The angry farmers of Haryana have taken the bull by the horns. Feeling hard done by, thousands have gone on the rampage to protest against a lack of prospects in a fragile new world where many fall through the cracks. Paramilitary forces were ordered to shoot looters and rioters on sight, and they did. Tonight, more than 10 million people in Delhi have no water to drink or to wash in because the protesters sabotaged the Munak canal, which provides the capital with most of its water supply. The protesters belong to the Jat farming caste, of whom there are 80 million across North India, eight million in Haryana, the state northwest of Delhi. They want more government jobs and places in state education institutions, half of which are ring-fenced for what the Indian government calls other backward classes, traditionally far more disadvantaged than upper-caste Jats. The generation of the Jat community is in danger of losing out. We are demanding hope for the younger generation. The government should immediately make us part of the quota system. After days of negotiations, Jat community leaders have, it seems, a forced capitulation. The Haryana state minister promised to table legislation to include Jats in the caste quota system. And the federal interior minister has ordered that a high-level committee be set up to address the Jats' grievances. The water service is now expected to resume tomorrow. But it could take days to remove vehicles left blocking highways and to restore rail service. In Uganda, international observers were openly critical after officials announced the 30-year-long president has been reelected. They said Yoweri Museveni took more than 60 percent of vote. But European monitors said he won through intimidation. The opposition charged fraud. And, today, police hustled the main challenger into a van and took him away. He's been arrested four times in eight days. Fiji faced a huge cleanup today after Tropical Cyclone Winston blasted the Pacific Island nation over the weekend. The storm struck with winds of up to 200 miles an hour late Saturday. At least 21 people were killed. Today, people picked through what's left of ruined villages, and aid agencies warned of a possible health crisis. They're worried about low-lying areas where crops are destroyed and water supplies cut off. Back in this country, U.S. Senator Claire McCaskill has announced that she has breast cancer and will take a three-week leave of absence. The Missouri Democrat says in a blog post that she will be taking treatments in Saint Louis. She says — quote — "It's a little scary," but her prognosis is good. And Wall Street started the week on a high note, helped by an upturn in oil prices. The Dow Jones industrial average gained 228 points to close at 16620. The Nasdaq rose 66 points, and the S&P 500 added 27. Still to come on the "NewsHour": Ted Cruz and Marco Rubio fight to become Donald Trump's biggest threat; another fragile deal for a cease-fire in Syria; the Supreme Court's first session without Justice Scalia; and much more.